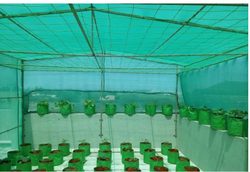 Pioneers in the industry, we offer nursery shade net and green house shade net from India. Our organisation is known in the industry for offering a wide gamut of Nursery Shade Net. Manufactured using premium quality raw material and well-knitted by our experts, the qualitative products offered by us are extensively used in nurseries and greenhouses. Our products provide shade and regulate air-movement, ensuring optimum protection to the crops from birds and other insects. Clients can avail these shade nets from us in varied sizes. 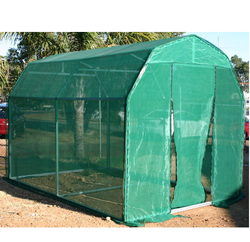 Green House Shade Net that we bring forth for our clients are extensively used in greenhouses and nurseries. Shade nets offered by us help in regulating the quality & quantity of light as well as temperature. Growth conditions of fauna and flora can also be controlled using these shade nets. Our products are very effective, as these help in protecting crops from excess sun rays & wind. Looking for Nursery Shade Nets ?